Recommended VPN: Get the best VPN for Business, IPVanish. There is a school of thought that VPNs are a tool that only some businesspeople need. This is not the case. Whether you work for yourself, a small company, or a giant multinational corporation, the benefits of using a VPN remain the same and are equally as important. But, of course, different people need VPNs for various reasons and the type of work you do and the company you work for will help to define which VPN is the right one for you. In this article, we are going to help. We have tested all the best VPNs and identified which features are most useful to different businesspeople. We’re concentrating mainly on small businesses with under 20 employees. If you’re a large company, then you will need a dedicated corporate VPN which is outside the scope of this guide. Below we reveal the results as well as explain which features you need to be looking out for. Why is a VPN useful for business? Do I need a dedicated business VPN? Fast connection speeds – business people need to be able to get online, download content, and respond to issues quickly, so fast connection speeds are essential. International server network – The business world is a small one and many people travel and do business across the globe. This means the benefits of having access to a wide range of international servers are significant. Multiple concurrent connections – Business these days takes place on computers, mobile devices, tablets, and more. Being able to connect all of your devices to your VPN is not just necessary; it is essential. Strong encryption and privacy protection – Keeping corporate data and intellectual property secure is essential to all businesspeople, so you will need a VPN with strong encryption and reliable privacy protection. Cost effective service – All businesses like to keep their costs down, but for small companies and freelancers especially, having a cost-effective VPN provider is a great bonus. IPVanish is a tremendous all-round VPN, but it offers a few features that businesspeople especially will benefit from. Principal among these is the number of concurrent connections available with each subscription. IPVanish offers a huge ten simultaneous connections to every user. Multiple connections means you can not only protect all your devices but if you are a small business, you may even be able to keep all your staff safe and secure too. They also boast a great range of apps which means you can use IPVanish on just about any device you can think of. As well as this, IPVanish users can also benefit from some of the fastest VPN connections around. Crucially, these fast speeds are consistent across their entire network which businesspeople especially appreciate. Their encryption is right up there with the very best too, with 256-bit AES used as standard for all users. Their strong encryption combined with a firm no user logs policy which means your online privacy is assured and a vast server network which includes all the major business destinations around the world. Throw in IPVanish’s competitive pricing and all this combined makes them our top choice for business use. 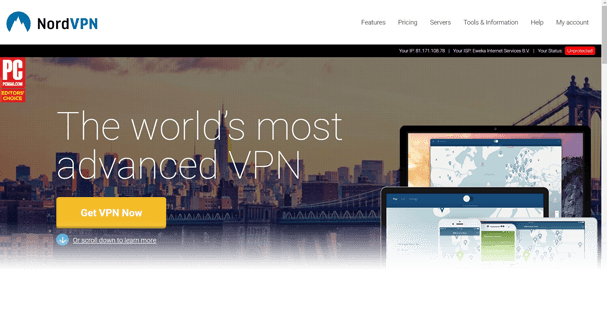 Some of the VPNs on this list are here because of a specific feature they excel at, but if you want a superb all-round VPN which ticks all the boxes, then NordVPN could be the provider for you. NordVPN offers you a combination of strong encryption and privacy protections that match any other VPN around. The fact that they are based offshore makes their no user logs guarantee rock solid. This is combined with lightning-fast speeds thanks in no small part to their recent investment in new servers. Their server network is one of the biggest around and is one of the few which combines an extensive network of locations with multiple servers in popular locations like the USA and the UK. NordVPN also allows six simultaneous connections and offers one of the most cost-effective deals around, especially if you sign up for a year or more. Put all this together and NordVPN provides an excellent all-round service for all businesspeople. VyprVPN commonly comes out top of Business VPN tests thanks primarily to their exclusive business VPN service. If you work with a large company or multinational, this is worth exploring, but for small companies and freelancers, their regular service is still a robust and efficient choice. Their encryption is as good as any other provider and when it comes to privacy, they are up there with the very best. Their independently verified no logs guarantee means your online privacy will be assured with VyprVPN. They also offer a sizeable server network, fast connection speeds, and five simultaneous connections for every subscriber. They do only have apps for Mac, Windows, Android and iOS devices, but that will be enough for most people. Their prices are pretty reasonable too and while there is no money-back guarantee, you can enjoy a 3-day free trial. ExpressVPN is one of the very best all-round VPNs on the market, but for business users, there are a few areas where it is lacking. When it comes to locations, there are few better. ExpressVPN has a colossal server network which makes it ideal for connecting with global partners or if you have to travel for your work. It has some of the most robust encryption around and it is another provider that is based offshore (in the British Virgin Islands) which means your privacy is assured too. As the name suggests, ExpressVPN’s connections speeds are also very impressive. However, ExpressVPN only offers three concurrent connections to each subscriber. This might be enough for you, but many would ideally like more. The other downside is the price. It is more expensive than the others on this list and while their high level of service justifies this, if you run your business on a budget, you might prefer to opt for a cheaper provider. If you want a low-budget VPN that still delivers an excellent service, then PrivateInternetAccess could be the one for you. They performed well in our recent cheap VPN tests and for the price, their service is impressive. With PrivateInternetAccess, you can enjoy connections to up to five devices, decent encryption, and a reliable no user logs policy. Their server network isn’t massive but it covers 33 countries including most of the central business markets around the world. Connection speeds are good but not the fastest although they should still be sufficient for most users. There is a seven-day money back guarantee which gives you plenty of time to test their service and if you want to keep subscription costs to a minimum, PrivateInternetAccess is a good bet. There are many number of different reasons why VPNs are useful for businesses. Firstly, they offer guaranteed online security and privacy to ensure your company keeps embarrassing data leaks to a minimum and cannot fall victim to corporate espionage or state-sponsored surveillance. It also helps you if you have to work on the go. With a VPN, you can use public Wi-Fi in places like airports, coffee shops, and on trains without having to worry about what you are doing online. They work on all your mobile devices as well as your computers too. Then there is the benefit for digital nomads and other travelling business people. If you have to travel overseas for work, with a VPN you can still access everything from back home, even if you find yourself somewhere like China where internet access is severely restricted. It depends. 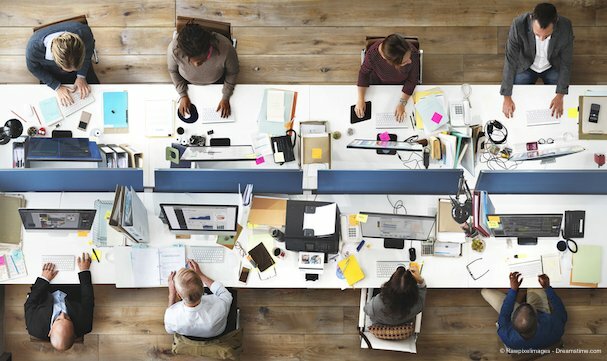 If you are a freelance worker or work with a small company then probably not, a regular VPN offers you all the security and privacy you need and with up to ten connections available with providers like IPVanish, you can even get several of your team protected without having to pay big bucks. If, however, you work for a bigger company then a dedicated business VPN could be a better choice. They will generally offer a better means to get all your staff protected more cost-effectively and can provide many additional dedicated features that big businesses, in particular, will benefit from. VyprVPN offers just such a service. To find out more, follow the link on this page and search on their website for their business packages. Yes, you do. Small businesses still need to be able to access their data securely; they need to be able to work remotely, and; they often need to be able to travel too. Using a VPN helps to facilitate all of this. The basic features of a VPN are beneficial to all business, large or small. Indeed, in many ways, small businesses get a better deal than big ones because VPNs can protect your business from the sort of incidents which wouldn’t harm a big business much but can be catastrophic for smaller ones. All businesses need to be using a VPN. As we have explained, it can help with data and intellectual property security, online privacy, accessing online services on the go, and travelling overseas. In this article, we have revealed which VPNs are the best for business in 2019. IPVanish came top of the pile thanks, in no small part, to its ten concurrent connections and excellent all round service. We have explained some of the critical features that businesses benefit from and which VPNs is best at which. Think about what features best suit your needs and then follow our advice. Whichever VPN you choose from this list, you can be sure of the peace of mind that comes with an excellent VPN service. Ready to get a VPN? Try our recommended VPN for business.